A lot of people visit the public library because they need to print a document. Most Windows computers come with a word processing program called Microsoft Works installed and many people use it to create documents. What a lot of people do not realize is that Microsoft Works files are not compatible with Microsoft Word, the paid product from Microsoft used for word processing (the program installed on the library’s computers). If you’ve created your file using Microsoft Works and get to the library, ready to print, only to discover that your file will not open, there is a solution! 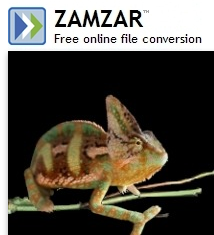 There is a free online file conversion site, zamzar.com, that allows you to upload a file, choose the file type you’d like to convert it to, enter your email, and have the finished converted file emailed to you for download. The great thing about this site is that it does not require you to install any software to convert the file, since many public libraries restrict users from installing software for security reasons. Not only does this site convert WPS files to DOC files for the scenario described above, it also converts a number of other document, music, and image file types. This entry was posted in Beneficial Bits n' Bytes, Technology, Uncategorized and tagged beneficial bits n' bytes, doc, file conversion, wps, wps to doc by ccld. Bookmark the permalink. Next → Next post: On this date 100 years ago: Elmira’s Crystal Eastman lobbies for Women’s Suffrage in Washington D.C.